Hey everyone! I'm starting a blog series called "The Weekender", this is my first blog series and I'm so excited to sharing it with all guys. 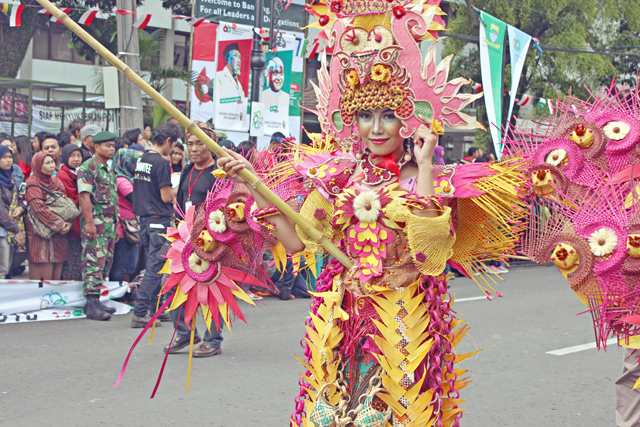 So, last month I went to Asian African Carnival one of the event from Asian African Summit 2015. The event held in Bandung, West Java and I was in there for two days of endless parties to celebrated 60th anniversary of Bandung Conference (Asian-African Conference) which took place on 18-24 April 1955. Let me break it down for you. 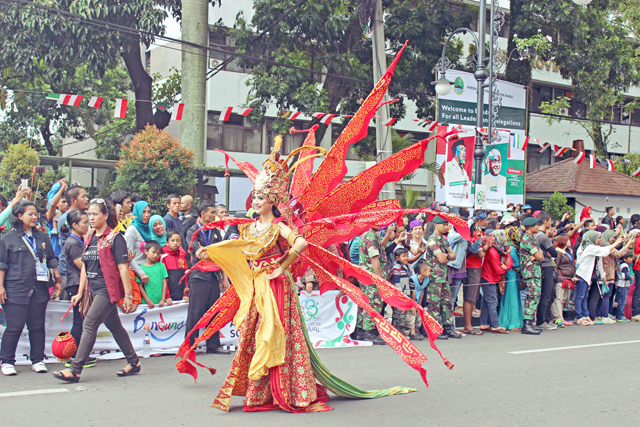 There are thousand of people from all island in Indonesia (Bali, Java, Borneo, Sumatran, and Papua) and Asian country (China, Japan, Nepal, Bangladesh, Bhutan, Jordan, South Korea, and Cambodia) participated in this carnival. Everyone was wearing their traditional clothes and introduced their culture. 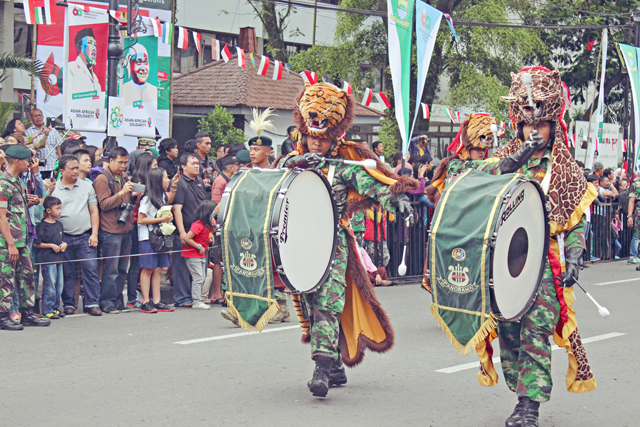 The carnival location was held at historical Asian-African Street where dozen of leaders from Asian and African nations performed a historical walk during the 1955 Bandung Conference. The carnival parade was really impressive, they were dancing their traditional dance and playing their traditional music instrument. 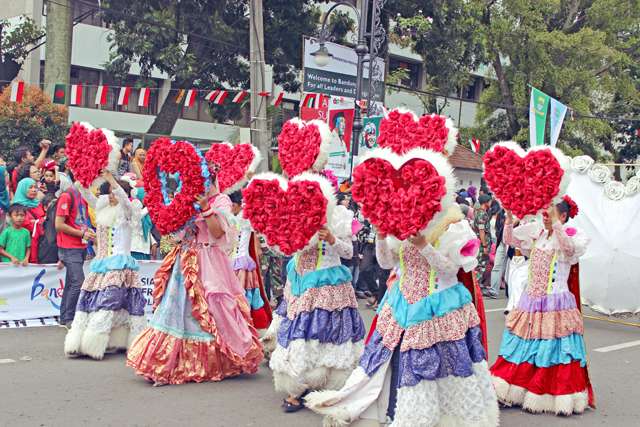 They were also costumes parade, all of them are extremely amazing and unique with colorful of colors. 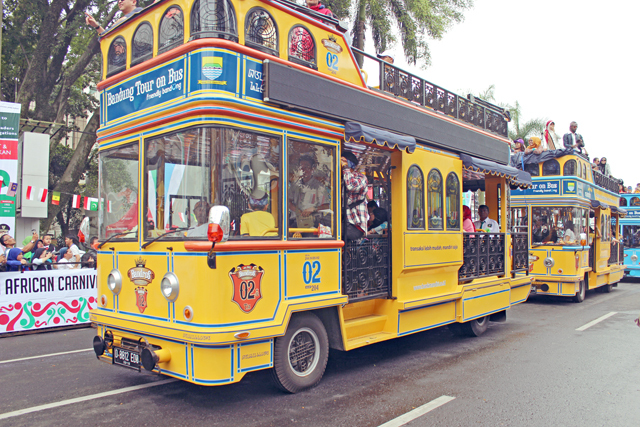 At the end of the parade Bandung government introduced their new touring bus (with bold yellow colors) which we can use to explore every spot in Bandung. The audience were toddler until elderly from all city in Indonesia, It's so crowded and all I can saw only the sea of people.The atmosphere was great and festive and basically everyone has wonderful time. 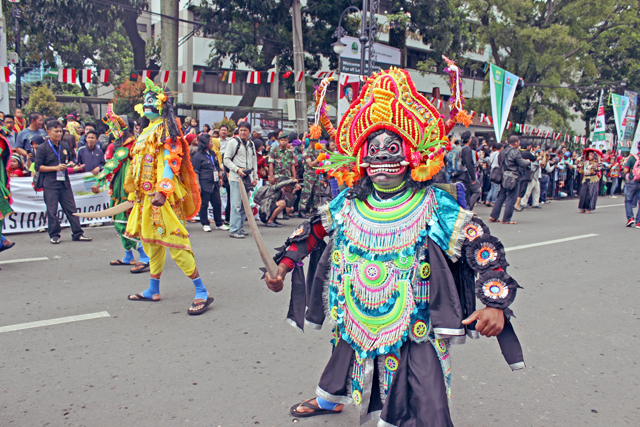 It's seriously the coolest and biggest event ever held in Bandung and also the most epic weekend ever! I hope you enjoyed my visual tour and Have a nice day! Credits // Photography by June Paski. Photos edited by June Paski. Oh my gosh, this looks amazing! So fun, thanks for sharing! Wow, so colorful! I love the wings on the costumes. There seems to be a little bit of everything going on here. Im jealous, wish I was here!! OH MY GOD I ENVY YOU!! And sorry for cancelled our meeting plan too.. It is BEAUTIFUL, full of colors and your pics are great! Looks like a really fun event! gorgeous! I love the costumes! Oh my gosh what a gorgeous carnival! So so pretty to see and I bet it was even prettier in real life. Excited to see whats next in your new series! great photos! this looks like such an interesting festival! Wow! 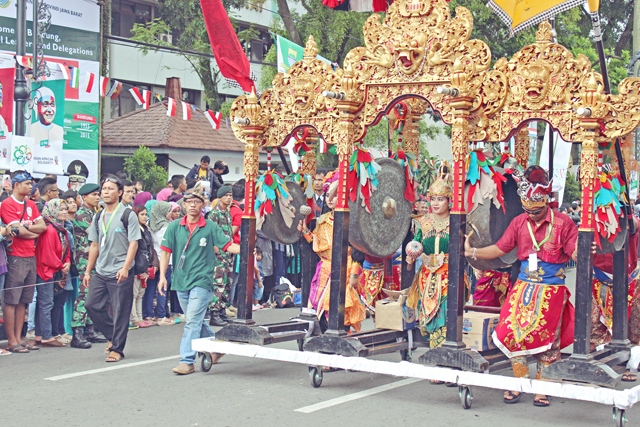 So much of the Asian-African culture and heritage is evident through this parade!! Thanks for sharing them with us..
What beautiful photos! It looks like an amazing carnival! Nice start to the series! I really enjoyed seeing how different all the traditional ways of dressing were. The women in traditional dress are all so beautiful! So happy you had the chance to attend! Wow!! All these colours... It's so nice to see these kind of photos. I bet you had an amazing time. Great post. An Asian African Festival is really an impressing combination and obviously this festival was simply stunning! Thank you for sharing the beautiful pictures and I can imagine you had really a wonderful time there. Wish you a happy weekend! Wow, it looks like a fantastic carnival! I live in South East Asia, in Borneo, but I don't think my country isn't involved in this. It looks amazing thouhg! I wish I could go! Wow this looks like a great event. Wow, what an impressive parade! Oh my gosh, this parade looks amazing. I so love all of the costumes and the colors of them. Simply gorgeous and beautiful. This looks like an amazing time was had by everyone. Great post. I really enjoyed it. What a fun blog series idea! Love it, can't wait to read more! Congrats on starting a new blog! The parade looks like such fun! What a colourful parade. The costumes look impressive! Beautiful parade, love all the colors! Such colourful and fun pics! Really made me smile few times! Wow! Such a fun and colorful event! yes, sadly it's too short! yes, you would be enjoy it! Thanks Quinn, have a nice holiday! Thank you, Rena! Wish you a happy holiday!